Would people still buy our products? Would Black Friday mean a huge drop in sales or would our potential customers be on board to make an impact in the world? Let me show you the results. Despite not offering ANY discount we saw a spike in sales on Friday. This was a great surprise because we knew that on that day, we were competing with tons of other businesses who did offer insane discounts. 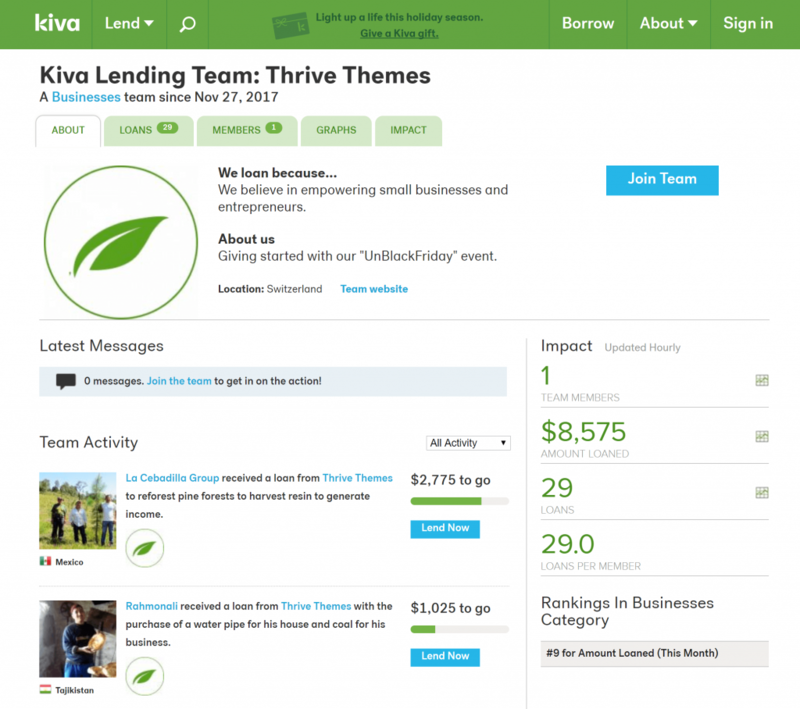 We promised to invest half of the revenue for membership sales in microloans on KIVA. Over the time span of Friday 24th November (anywhere in the world) this represented $9,865. The most straight forward way we found to do this was to create a KIVA team. Creating a team allows us to show you exactly what loans we funded. When investing the $9,865 in microloans a percentage of the money is used as a donation to the KIVA organisation ($1,290). This allows us to lend $8,575 directly to 29 entrepreneurs and small businesses. A Big, Fat Thank You and Welcome From All of Us! Thank you. We could not have done this without you. What all of the above means is: many of you chose to join us in a good cause instead of insisting on a discount. Many of your shared our message, enough for it to stand out in all the Black Friday noise. You decided to make a difference. Thank you for sharing the UnBlackFriday message. And of course, welcome to all new members! We're delighted to have you on board. Hey ! I’m super happy that the sales went well. I’m so happy to hear that Robin! People before profits. This is a good way to lead the holiday spirit. Great job and great example of how to do something meaningful and make an impact on BF. Applause, applause! Wonderful, Hanne – thanks for sharing – right in line with the values that matter most to me and my tribe. I’ve saved this as a fab case study! Another reason that I love your company/people… you’ve got heart. This thoughtful donation by your company has the potential to significantly improve the lives of all those who receive the loans. Kiva is a great organization. I am so proud to be a 4-year subscriber to your products and continue to be impressed every month by your consistently high performance. Fantastic positive impact. Thank you for showing us all the proper path in business and in life. By helping others you help yourself become a better person. This is the way to do it. Everybody loves a discount, but what you’ve done has impacted us all in a super positive way. As a result I’m going to give more. Thanks! What a wonderful result! Well done. I have to say that the sentiment behind your Black Friday approach is one that many businesses would do well to follow. Great to hear you’re loaning too! I also have discovered Kiva through you. Bravo! That is super cool! Thank you for sharing. I love your approach to Black Friday! An excellent way to encourage people to join the Thrive community, and much more meaningful than a 20% or 50% discount. Hanne, I’m echoing everyone else’s comments above! Great job. For those of us running agencies, saving a few dollars on, an already very reasonable suite of products, really shouldn’t mean near as much. Cheers! and best wishes for you and Thrive. Hi Scott, yeah for agencies this is a real no-brainer! and this is how WE change the world! 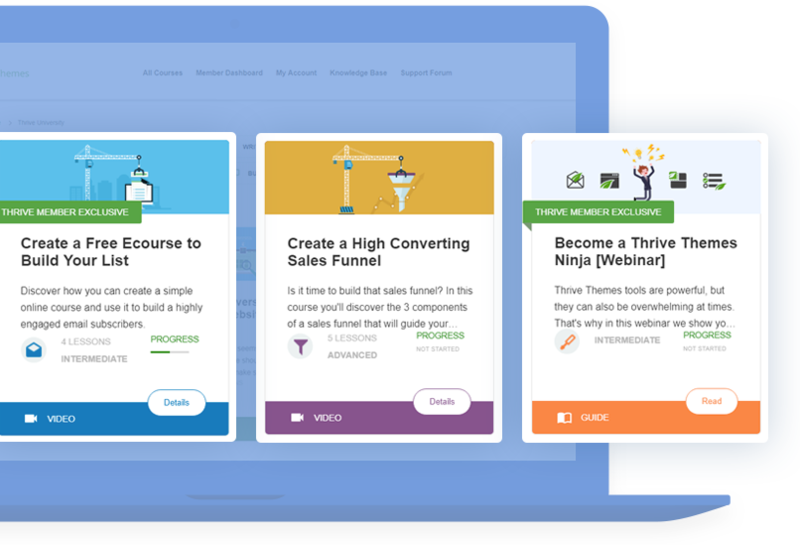 Thrive Themes is an awesome company and I am proud to be a member. Well done Thrive team. Helping those who need help to help themselves. Thanks for helping us with this John! YES! Thank you, Thrive Themes, for ‘bucking the trend’ and doing good! and a big fat thank you to you, the Thrive team. Amazing idea and very well executed. THANK YOU for helping others! Love the Un-BlackFriday concept, the updates, and the transparency. Congrats on the sales, and keep up the great work. Your efforts are changing the world and I’m proud to use and promote Thrive Themes. Would love to meet the rest of the core Thrive team in person someday. Hanna, it was great meeting you earlier this year. So happy that you did this. I’m also lending money on Kiva and it’s the greatest feeling to help out other Entrepreneurs.